With a local expert guide enjoy a three-hour guided walking tour of the city of Padua. The city of Padua has a rich history which is reflected in the uniqueness of its attractions. 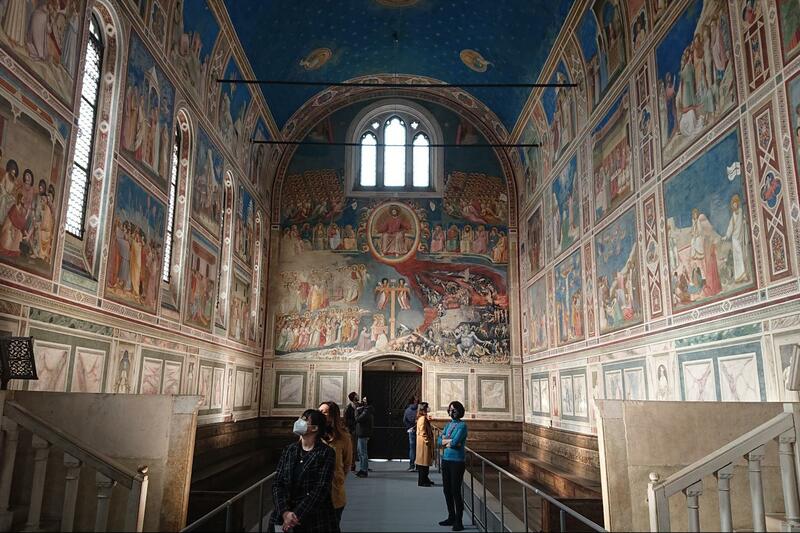 The star attraction of the city of Padua is the Scrovegni Chapel which was erected in the 13th century. An unassuming building from the exterior, the interior houses one of Italy's most precious works of art that has been recently restored. To honor the death of his father, Enrico Scrovegni hired Giotto ( one of the founding figures in the Renaissance movement to decorate the interior of the building in Padua. The artist, along with followers, created a magnificent cycle of frescoes illustrating the lives of Mary and Jesus. The realism in these frescoes, which featured the first blue skies in Western painting were almost revolutionary and provided a shining light to the Renaissance movement that followed many years later. Your local expert guide will shed more light on these important frescoes as you enjoy your private walking tour of Padua. Tour the Basilica of St. Anthony, one of the highlights of a private walking tour of Padua. The huge Basilica of St. Anthony, crowned by Byzantine domes and minaret style towers is only second to the Basilica of St. Marks for its Asian inspired beauty. The interior of the church is richly decorated courtesy of the generosity of Pilgrims who have made their way to this church for centuries to give thanks to the popular St. Antony. Although, officially the 13th June is the feast day of the saint nowadays pilgrims come all year round to Padua, and with the inner cloisters and church filled with happy groups of Pilgrims there is still a sense of life to be held in this church that many of its counterparts have lost. Home to Italy 's second oldest university that was founded in 1222, which attracted the likes of Dante, Petrarch, and Galileo Galilei. We'll visit the University of Padua on your private walking tour of the city. The university is particularly fascinating when you enter the perfectly proportioned anatomy theatre where students would observe operations from galleries above the operating table. 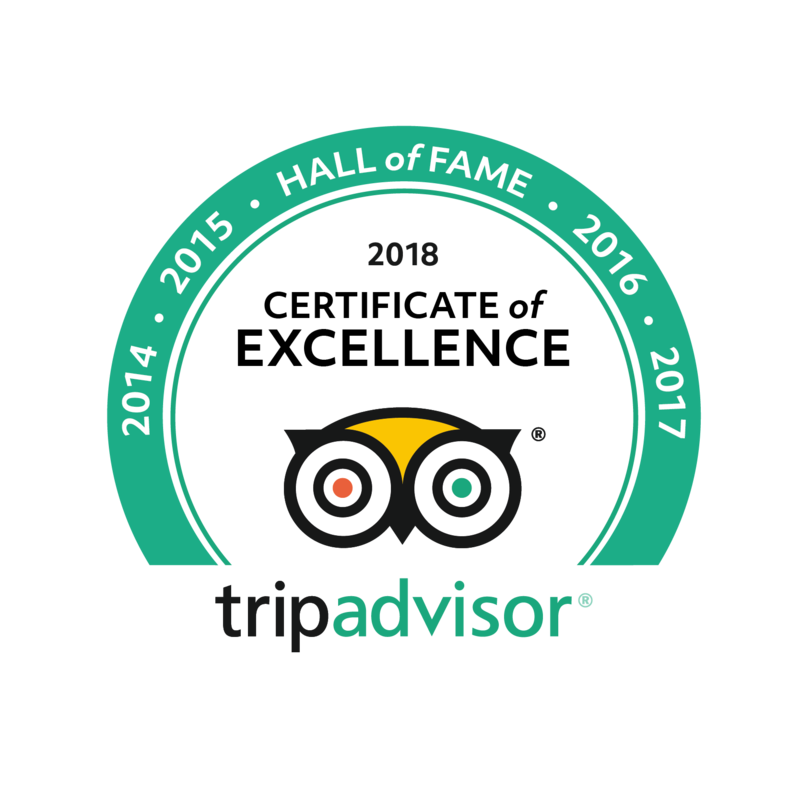 Your guide will entertain you with tales and stories of the theatrics of the performing surgeons in the famous anatomy room. 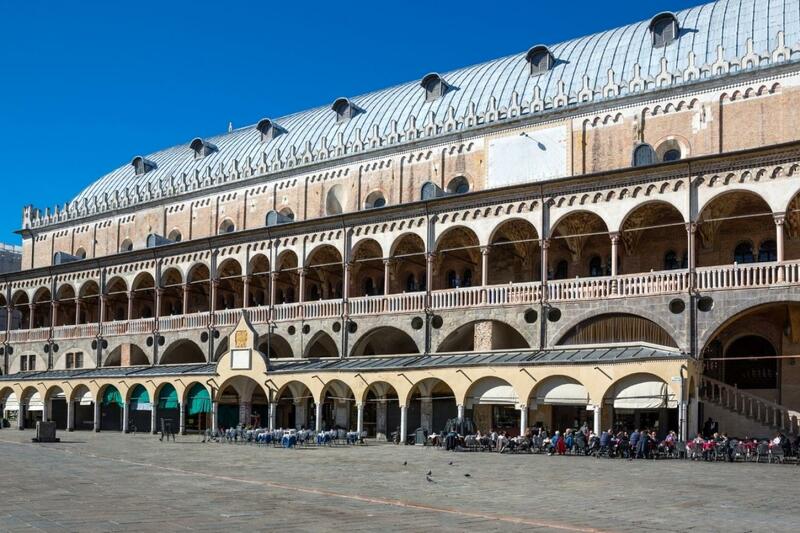 As you wander through the Medieval centre of Padua you'll see the Piazza dei Signori, sight of the daily market which runs from the early morning hours until midday. The square is dominated by the 15th century building that served as the council chamber for the leading families of the city. 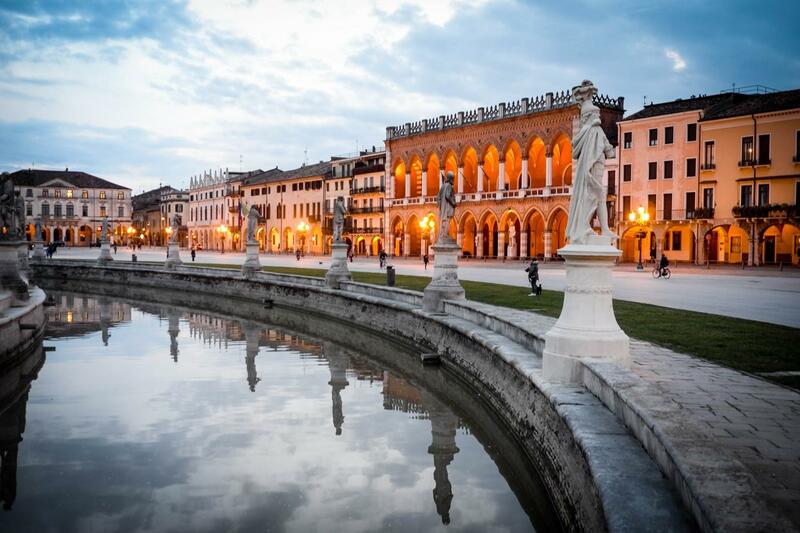 Just a short distance by train from Venice, your guide can meet you at the Padua railway station, or at the entrance to the Scrovegni Chapel to start your private walking tour of Padua. On request we can also set up a tour of the anatomy theater. Excellent tour that provided overview of Padova and in -depth visits to Scrovengi Chapel and St. Anthony’s. I would suggest offering to book back to back visits to Scrovengi Chapel if possible- 15 minutes not enough time. Our group enjoyed our tour of Padova very much. The guides were knowledgeable and informative, and had an excellent understanding of the history of Padova.